resolution – run baizel, run! 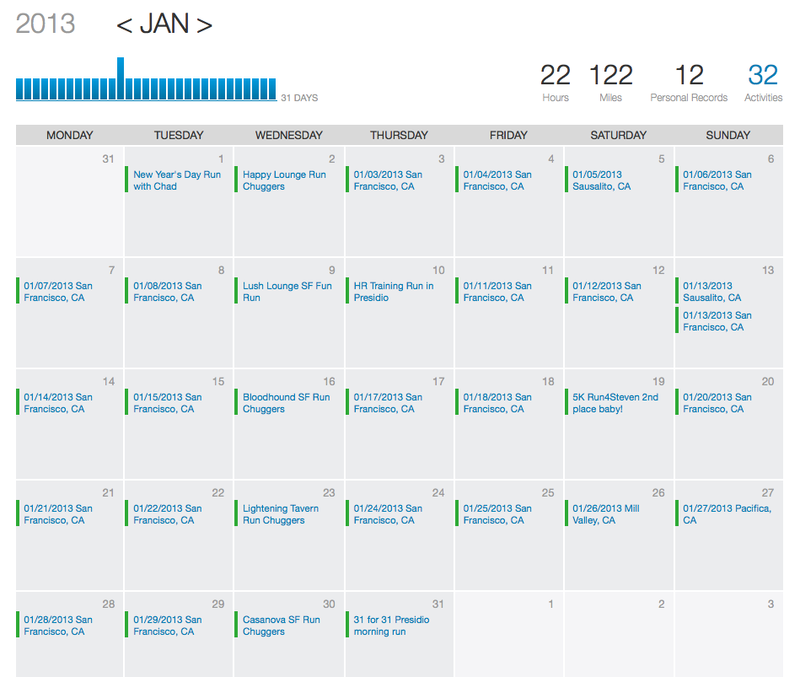 Started 2013 with 31 days in a row running at least 3 miles. I wish I had recorded some vitals like body fat percentage and resting heart rate etc when I started so I could see what effect 31 days of running consecutively has. I definitely saw fat just melting away from my midsection which is always a challenge for me to lose it. Overall I felt more energy and clear headed as running is a great stress reducer for me. In case you’re wondering, no, I did not run on February 1. I was too worried I’d convince myself to go the whole year running every day, which was my original idea.